Global General Manager of DreamWorks Animation Rick Rekedal spent time with Belmont students during a convocation on Wednesday, Jan. 13 and asked, “Is your career calling and your Christian calling the same?” Rekedal shared about living out his own calling for the past 20 years and discovering what it means to have a career in the entertainment industry as a believer in Christ. 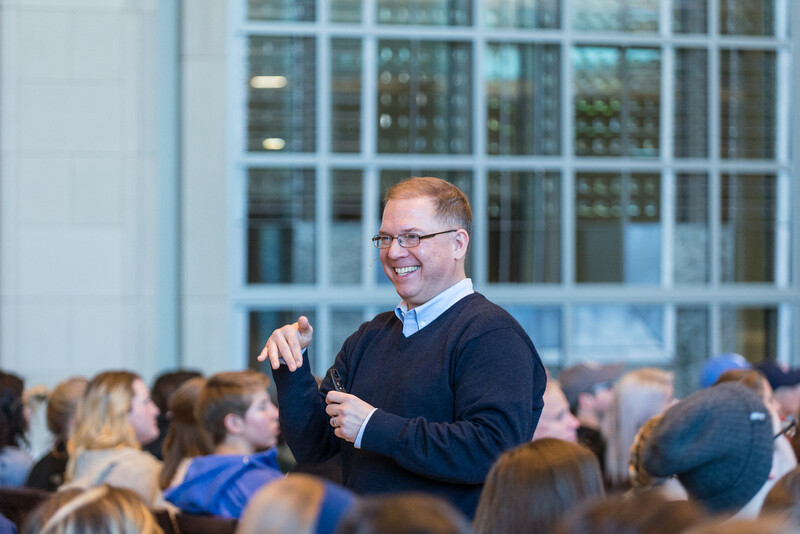 As part of Belmont’s Career and Calling Week, Rekedal spoke on his impressive resume and the experiences in Hollywood that have impacted his professional and spiritual life. His projects include “Prince of Egypt,” “Shrek,” “Madagascar,” “Kung Fu Panda,” “How to Train Your Dragon” and numerous awards for best animated video game. 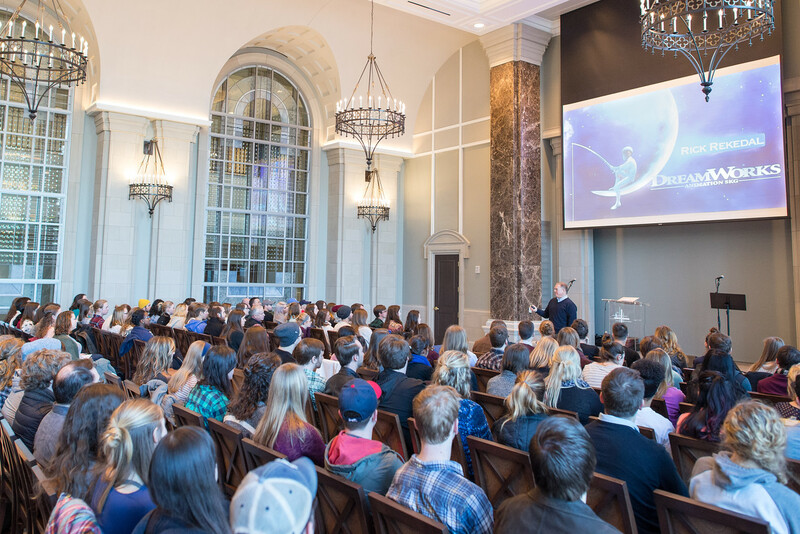 A special viewing of the “Prince of Egypt” in Belmont’s new theater space the night before his presentation kicked-off Rekedal’s time on campus. Rekedal sees millennials as a generation interested in telling its own story. He said DreamWorks finds more success today with user-generated content on Youtube than with any trailer in a movie theater, and with this changing social landscape, there are more avenues than ever to tell stories and be salt for the world and a light in the dark. For Rekedal, it all comes down to keeping God involved in every hour of his life to allow his Christian calling to intertwine with his professional one.